susan nam (b. 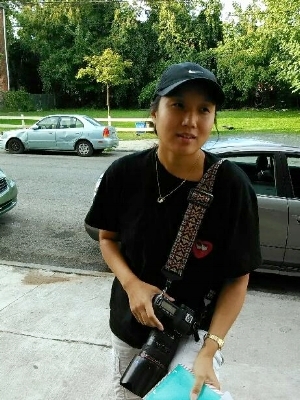 1986) is a korean-american documentary & street photographer and activist from philadelphia. for the past 10 years, nam's work has been dedicated to the city of philadelphia and its focus on community- not only documenting it, but more importantly being part of it. she does not consider herself much of a photographer, but an artist that uses the camera as one way of serving her community. upon graduating in 2010 from the art institute of philadelphia with the outstanding achievement award for her class, she has since been featured in various exhibitions throughout the tristate region. nam's sole purpose & driving force behind every image is the hope, joy, peace, faith and love that is not of this world, but only found through Jesus Christ. nam currently resides in the uptown neighborhood of philly with her husband & three children.